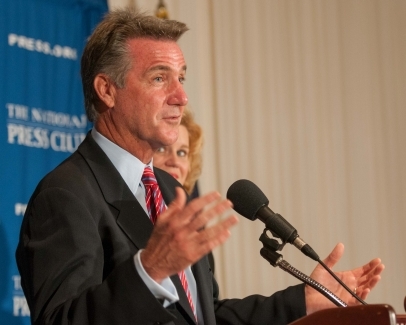 Bruce Allen, Washington Redskin's General Manager joins NPC President Theresa Werner to discuss his team's 2012-2013 season and their pending contest versus the New Orleans Saints for a National Press Club Speakers Luncheon, September 7, 2012. 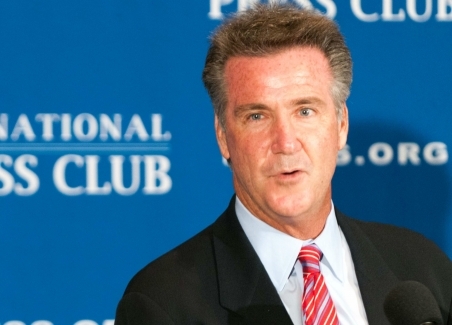 General manager of the Washington Redskins Bruce Allen discusses the team's upcoming season at a National Press Club Speakers Luncheon September 7, 2012. 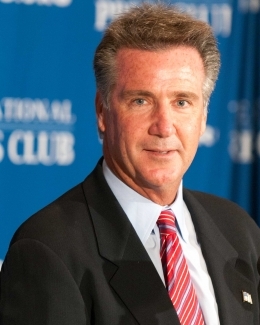 General manager of the Washington Redskins Bruce Allen discusses the team's upcoming season at a National Press Club Speakers Luncheon September 7, 2012. Also pictured: NPC president Theresa Werner. 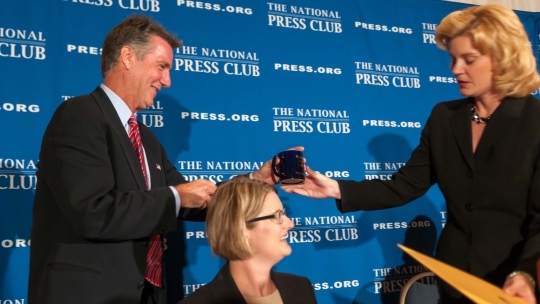 Washington Redskins GM Bruce Allen accepts the traditional coffee mug at the close of his engagement with the National Press Club, September 7, 2012.